Hinoki Press founder Chris Greene passed away last Friday. Greene, who had cancer, died at home in Libertyville, Illinois. He is survived by his wife, Vicky, and his daughters, Melissa and Elizabeth. A long-time Go player, Greene started the Go book publishing company in 2006, after retiring from his career as a programmer, and published 18 Go books before selling it late last year to Go Game Guru. Chris made an immense contribution to the body of English language Go literature in a relatively short time. He was incredibly modest about his achievements and stoic about his illness. 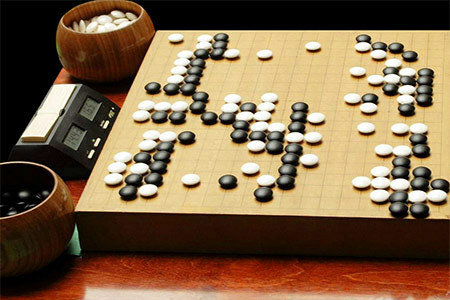 When I last spoke to him, on Thursday, he was primarily concerned that the material that he’d worked hard to have translated and published in English remain available to future generations of Go players. We will miss our friend and fellow Go player and will do everything we can to honor his wishes.